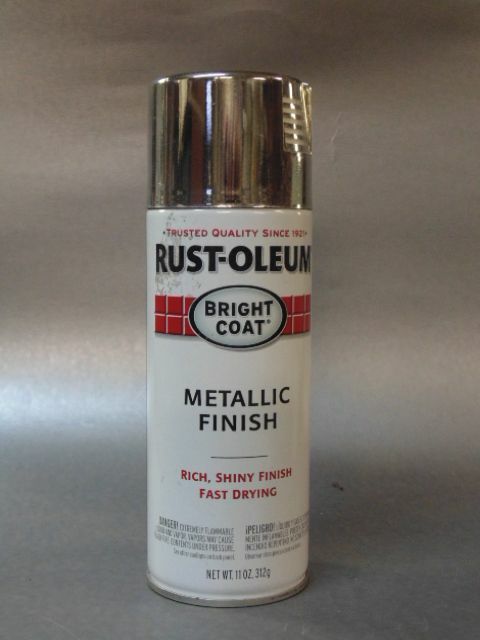 What's the best real authentic CHROME spray paint out there used by more modelers? Thanks very much. Though not a spray paint, Molotow chrome ink can be shot through an airbrush with great results. The Molotow chrome pens are perfect for smaller chrome jobs, or touching up the existing chrome on a part when, say, a sprue attachment point is exposed or parting lines are removed. Between Molotow and BMF, the vast majority of chrome requirements can be met. I have tried a lot myself, and they all seem to have their pluses and minuses. Nothing really works fantastic like sending out to be chromed. I used to by replacement stuff from Modelhaus but that is now gone. The sprays work so so, yes airbrushing is the way. If it is just a touch up bmf works a lot better than anything else. I really am not for these sprays. They seem to promise more than they do. Don't laugh but I've had good results BRUSHING the Molotow ink! I bought one of the 30 ml refill containers and put a small amount in an empty nail polish bottle that I bought on Amazon. The nail polish brush works quite well and the ink is somewhat self-leveling. I repaired an entire rear bumper on a Mustang by removing the chrome and brush painting the ink. Works pretty well as long as you don't handle it much. Pledge Revive-it (used to be Future) can be used to overcoat it to protect it. It does make it a little less bright yet it still has a great mirror finish with that and you can polish the Revive-it to improve the luster if you want it a little brighter. Ive had real good results With alclad finishes with a gloss black enamel primer with an airbrush. The Molotow, as mentioned, goes through an airbrush very well. The problem with both Alclad and Molotow Chrome is that it can't really be handled even after it dries otherwise it tarnishes. I can't think of anything that can be put over Alclad clear coat wise but that doesn't hold true for Molotow. After the Molotow has fully cured out (somewhere around the 48 hr. time frame in my experience) it can be coated with Spaztix Ultimate Clear Coat. After it's been coated with that and has cured it can be handled with no problems. Thanks very much, I'll give this a shot.